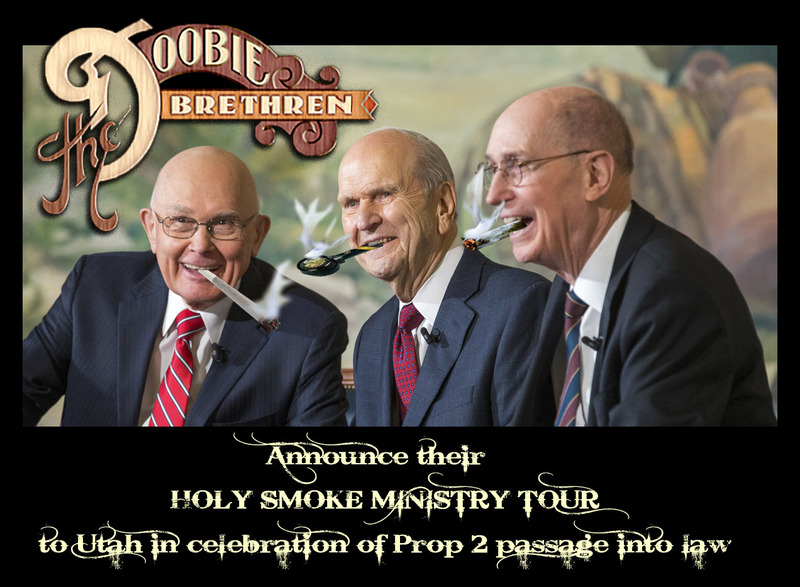 The Brethren announce "The Holy Smoke Ministry Tour"
Re: The Brethren announce "The Holy Smoke Ministry Tour"
Mormon peyote. Expect some interesting "revelations" now. You mean like, "Elohim told me to not call ourselves mormons anymore!" I think they look high even without the protrusions from their mouths.